One of our favorite treats is fudge. Its creamy and chocolatey goodness makes it a great guilty pleasure, especially around the holiday season. But then we found out that you could make your own using coconut oil, nut butter, raw honey and a few other simple ingredients, and we knew that we had a winner that we could indulge in year-round! 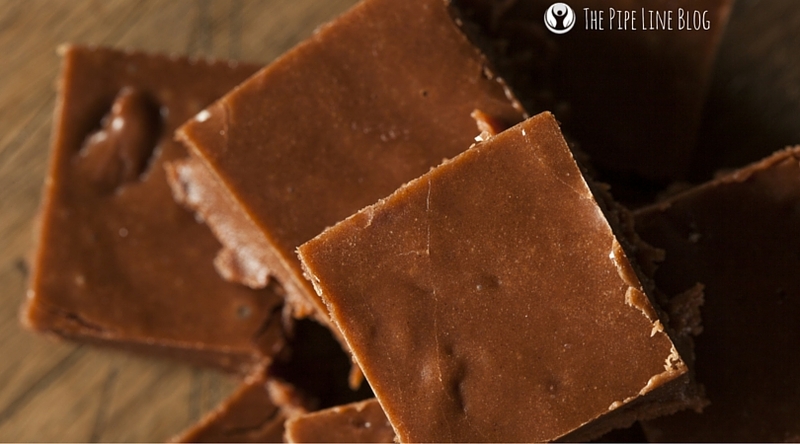 What we love the most about this recipe is how simple it is because it’s a freezer fudge recipe, which means once we mix together some of our favorite ingredients, we just pop it into the freezer and wait an hour for it to reach creamy and decadent perfection! We recommend using cashew butter because it has a milder flavor than almond butter. If you do use almond butter, we suggest using raw almond butter rather than the roasted version. Here’s our recipe! 1. In a bowl, blend the nut butter and coconut oil until smooth. We recommend slightly warming both ingredients so that they combine easier. 3. Transfer the mixture into a container lined with plastic wrap or parchment paper and smooth the top with a spatula. 4. Place the dish in the freezer and allow it to set for at least an hour. Slice and serve immediately. This recipe will melt when kept out of the freezer, due to the coconut oil. So we recommend slicing as necessary to serve and storing the remainder in the freezer.